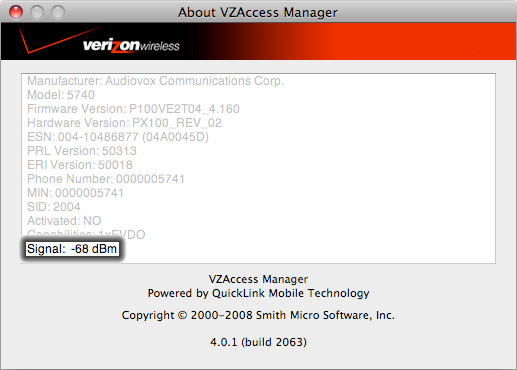 From the Menu Bar, click VZAccess Manager > About VZAccess Manager. Verify the Signal (a.k.a. RSSI). For a reliable connection, the Signal should be greater than -95 dBm (e.g. -73 dBm). A value of -125 dBm indicates no signal. 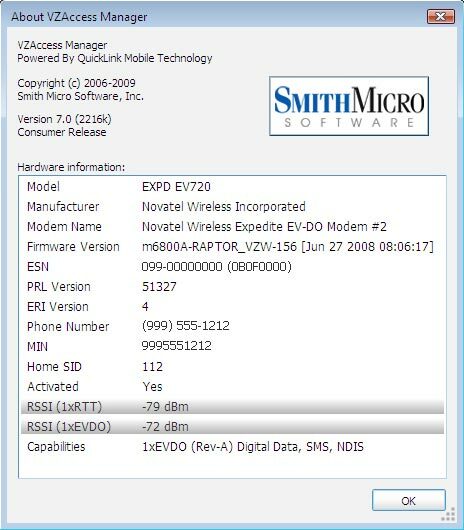 If the signal is between -95 dBm and -125 dBm, move the device to an alternate location (an outdoor location is preferable).